Applications for the 2017 Student Program are now open. 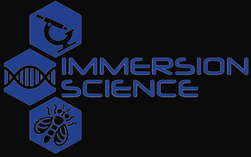 The Immersion Science Program aims to train high school students and teachers in cutting edge biomedical research.This no-cost, challenging, highly selective, college-level course is designed to mimic the experience of joining a research laboratory, with a very high instructor to student ratio (1:4). Students will gain hands-on training in basic laboratory techniques and conceptual skills, including experimental design and analysis, the cellular basis for cancer and hypothesis development, as well as gaining an appreciation for the importance of working together as a team to address a significant biomedical problem. Each student will design and complete an independent project that addresses the effects of dietary supplements on normal cells. Upon completion of the course, students will present their work to their classmates, families, scientists and staff. ​Students participate in courses in the Fox Chase Cancer Center Teaching laboratory, conducting novel research to define the cancer signals targeted by nutrients. Fox Chase Cancer Center, part of the Temple University Health System, is one of the leading cancer research and treatment centers in the United States. Founded in 1904 in Philadelphia as one of the nation’s first cancer hospitals, Fox Chase was also among the first institutions to be designated a National Cancer Institute Comprehensive Cancer Center in 1974. Fox Chase researchers have won the highest awards in their fields, including two Nobel Prizes. Today, Fox Chase conducts a broad array of nationally competitive basic, translational, and clinical research, with special programs in cancer prevention, detection, survivorship, and community outreach. To provide new understanding of the effects of dietary changes on normal and cancer cells, and to better understand how components of a patient's diet might affect the treatment of his/her cancer. Immersion Science students follow-up their initial discoveries from the course in a dozen (and growing) FCCC research labs, creating a collaborative, multi-faceted, and comprehensive research network to address this problem. We also offer a High School Teacher Immersion Science Program. Learn how to adapt lab practices for use in classrooms, based on CORE curriculum standards. Upon completion of the course, teacher-participants will take part in a practicum designed to mirror the experience of utilizing ISP techniques and protocols in a classroom setting.